The following is an abridged version of a blog post by Miriam Otipa, a research scientist and leader in Kenya supported by the United States through a fellowship program. Read her full story on the Feed the Future blog. Growing up in a small village in Western Kenya, I often accompanied my mother and other village women on customary weeding expeditions. Whenever we came across sick plants in the fields—which was all too often—my mother would instruct me to pull them out and cast them aside. I did as she asked, but wondered to myself: Why do we simply throw out the plants instead of doing something to make them better? At times, my mother lost nearly 80 percent of her tomatoes to plant disease. The loss was so bad that she eventually stopped growing tomatoes all together. Yet when one of our cows got sick, my mother would call a veterinarian to come and treat the cow. I wondered: Were there no doctors who could also cure our plants? I turned this curiosity into a career in science and became the first child in my family to attend university as well as the first woman in my village to earn a science degree. Seeking answers to my childhood questions, I studied botany and zoology as an undergraduate to better understand the diversity of crop and animal pests and diseases afflicting farmers like my mother in Kenya and her peers across Africa. I wanted nothing more than to find a practical solution. So, I became a plant doctor. Eager to learn and improve my skills, I applied to the African Women in Agricultural Research and Development Fellowship and was selected as a 2008 fellow. Thanks to this training program, I was on my way to becoming an agent of change in my community by learning how to treat plant pests and diseases. I was exhilarated to finally have the skills and knowledge to discover and develop solutions using science. With my new grant writing skills, I secured USAID funding to develop environmentally friendly crop protection technologies. Working with partners in the Feed the Future Innovation Lab for Integrated Pest Management was an eye-opener. I used new equipment and learned from the experts around me. During this time, I also had an opportunity to attend Ohio State University as a visiting scholar, where I honed my diagnostics skills and developed Kenya’s first-ever methodology for screening passion fruit for disease at nurseries — to help stop disease before it made its way to farms. Today, I help farmers properly diagnose plant disease and heal their sick plants. I’m training others to be plant doctors, too. Through the PlantWise program, supported by an international non-profit called CABI, I’ve helped train more than 140 agricultural extension staff to operate 89 “plant clinics” in 13 counties across Kenya. I’ve also jointly trained 45 farmers as “plant nurses,” who regularly visit farms, assist with plant examinations, and encourage farmers to use nearby plant clinics. Farmers can take their diseased plants to these clinics and receive guidance from plant doctors on how to best tackle their plant pest and disease problems. It is incredibly fulfilling for me to see such progress. 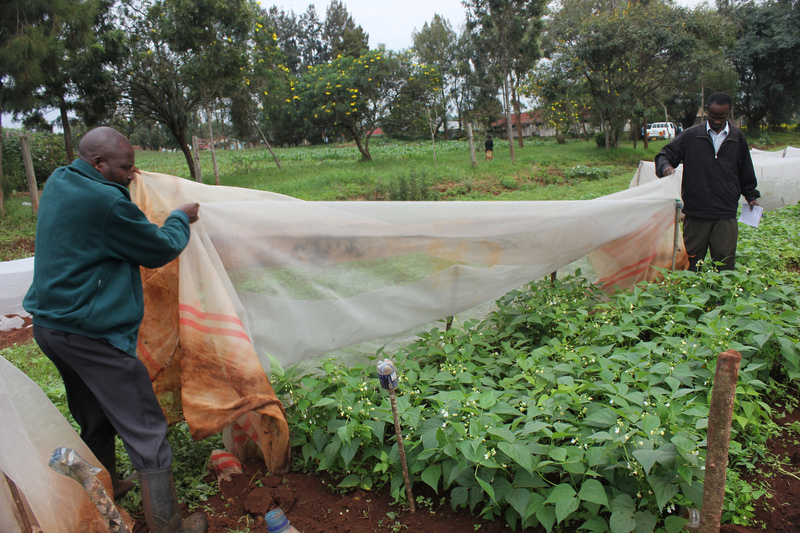 Instead of throwing out sick plants, farmers can fight crop losses and adopt new farming practices to boost their harvests and incomes. I am proud to say that my dream of becoming a “doctor of plants” has come true. I only wish that there were more like me in Kenya. As one of the few female plant doctors in my country, I’m passionate about training the next generation of plant doctors to narrow this deficit. I am doing my bit to help feed my village and my nation. 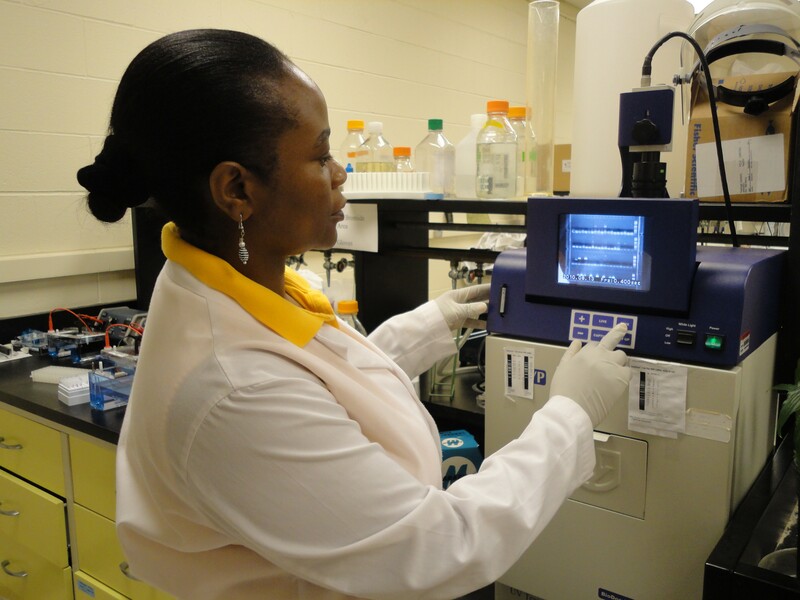 Miriam Otipa is a principal research scientist and head of the Plant Pathology Department at the Kenya Agricultural and Livestock Research Organization. She is also a former fellow and mentor with the African Women in Agricultural Research and Development program.